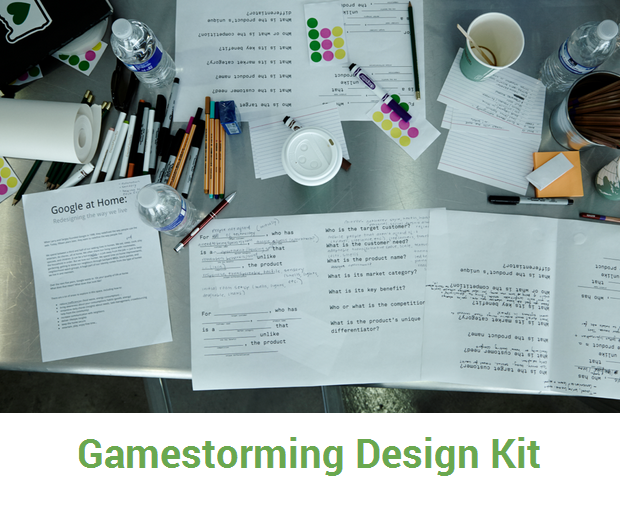 Check out this excellent Gamestorming design kit created by expert Gamestormer Brynn Evans. This is great! I have a very similar kit all contained in a handy canvas basket that I can carry with me around the office.